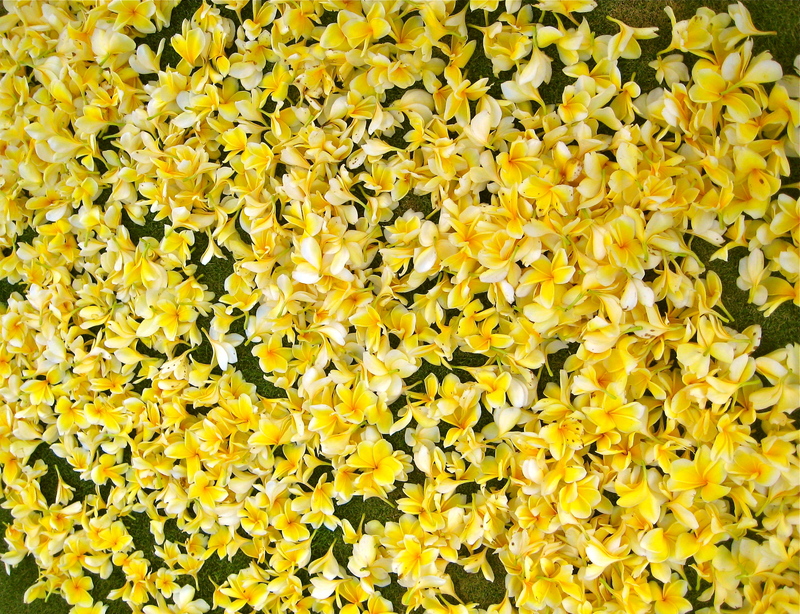 Fresh frangipani flowers scattered to form a colourful yellow carpet for a traditional Balinese Wedding Ceremony! This entry was posted in Photo Challenge and tagged Bali, carpet, flowers, Frangipanis, fresh, wedding ceremony, Weekly Photo Challenge, yellow by Chasquita. Bookmark the permalink. OMG the aroma must have been glorious!! !